I don’t use filters anymore. THERE. I said it! I have in the past, I won’t deny that. Most of my beginning blog pics are highly edited, and quite frankly, poorly, highly edited. Lately I’ve been noticing alot of issues with over editing / filtering photo to be confident enough to put ourselves out there, and I won’t do it anymore. Don’t get me wrong, I do not hate the way I look in filters! 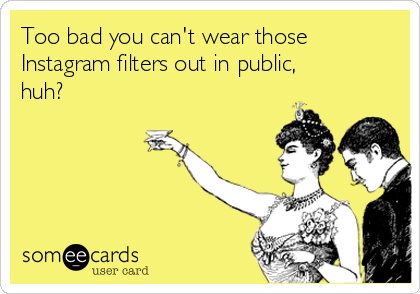 I don’t hate the way YOU look in filters! You want to look like a puppy, be a puppy! Or have shimmery sparkles on our face! In fact, me and my friend Torry often crack the joke, “Why can’t we look as good everyday a we do on Snapchat? !” Answer, because people have pores, wrinkles, scars, bags under their eyes, and well, if you meet me in person, THAT is what you will see. Truth be told, some of the filters are super fun and cute! SO hilarious to have conversations with friends with them, so the entertainment value is endless. I guess I’m more talking about editing. I always thought that it meant, you know, reducing glare or toning down some background “noise”. In all honestly, I may still do that just so that the focal point of the picture is clearer for you. I’m just not going to touch up me. Filtering and editing make us look less real. Which can be fun and funny; but when I read articles like this one and this one , I worry. I worry how people, and TEENS, are wanting to get plastic surgery to make themselves look like their Snapchat Filters! What?! Just typing that makes me sigh. Now, with the super fun technological advancements that can make me look like a deer when I chat with a friend, is making women feel less pretty. Filters are making women of all ages, not want to be seen NOT looking like the woman in the flower crown. This is likely why people prefer to converse, and make friends, over social media instead of face to face, or why they lack confidence in themselves. It’s not enough to follow crazy makeup tutorials with SO MANY PRODUCTS, to make them look incredibly different than real life. Now they want to look poreless, pouty and perfectly primped at all times, when that is 1000% completely unnatural and unattainable. I want to share real time images, outfits and most of all, style tips, that you can use in your everyday life to find YOUR Method to Style. I’m 42 years old. I have very dark circles under my eyes (when will I EVER feel rested again?? ), I smile and laugh with my whole face (it’s true! I’ve tried to be less; but I just can’t) so I’ve got some lines in there too. Let’s just clarify that I’m not talking about makeup. Makeup is real and it’s purpose is to give you the tools to enhance your natural beauty, and cover up any imperfections. Like anything else you can always do too much or too little; but I’m the last person to comment on THAT. Makeup pro I am not…contouring literally scares me. I’m raising a son who I want to appreciate women for who they are, not soley based how they look. I need my daughter to know that she is exactly what she needs to be. Don’t draw attention to yourself because of how edited you are, BE YOURSELF. Yes, we can take pride in our appearance and want to look our best, while using clothes and makeup to achieve that. If we are presenting a virtual version of us that we can, in no way, make real, it’s heading down the wrong road. One of the biggest pieces of advice from good ‘ol Gary Vee, is to Document over Create. Creating is great; but if the steps it take to create “perfection” before posting, takes so much time and energy it prevents from posting at all….then you are finished before you even got started. I look at alot of what is put out on Social and, yeah, there’s times where I look at it and think, “I DO NOT measure up, what in the world am I thinking”. Then I realize, I’m not the only one that feels that way. I’m not the only one who, while looking at those gorgeous and flawless pictures, is intensifying my own flaws. This is not a blog with a professional photographer taking each photo and ensuring each image is perfection to showcase not just my style; but their work. Sometimes that happens, and when it does it’s pretty special. No, this blog is primarily made up of iPhone images, taken with a timer or sometimes my 10 year old daughter. That is what I have to work with, and if I focus on documenting all the ways you can find YOUR Method to Style. Help you get inspired by fashion and enjoy reading about our adventures in Dubai, you will be well taken care of, even if the photos aren’t filtered or touched up. Cuz that’s the real deal friends. I’m here for you, it’s why I started this up, and I will always show up as ME. I would love nothing more than for moms to eventually share this blog with their daughters, to help them understand how to find their style through various stages of life. Style means something different to 20-somethings than 40-somethings; but it can all be done in a classy, REAL way, that represents the absolute best you that you can be. 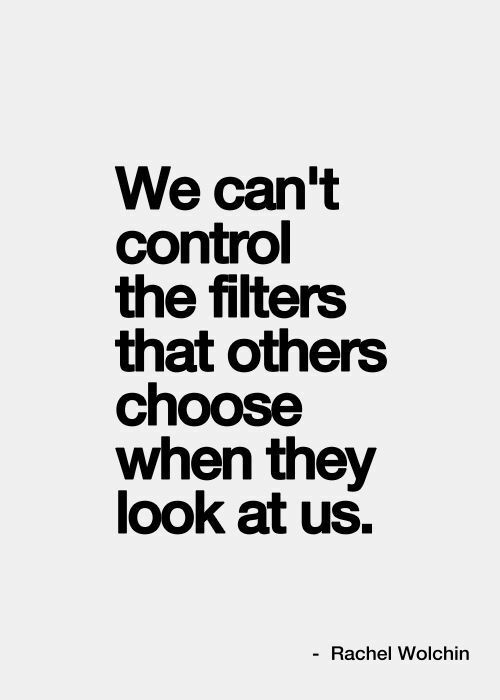 Enchance what you have, don’t filter it.